K.E. 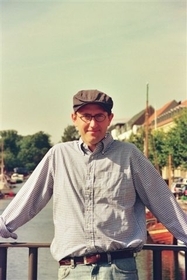 Semmel is a writer and translator whose work has appeared in Ontario Review, the Washington Post, The Brooklyn Review, Redivider, Hayden’s Ferry Review, A River and Sound Review, and elsewhere. He is the Publications & Communications Manager of The Writer’s Center in Betheseda, MD. He has translated two of novelist and short story writer Simon Fruelund's books (and is now searching for a publisher), and has received a translation grant from the Danish Arts Council. You must log in to write on KE Semmel's wall.